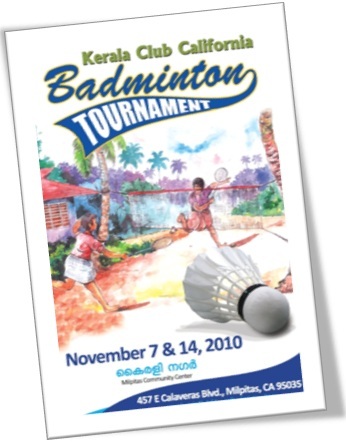 Kerala Club California conducted a badminton doubles tournament on November 7 and 8 2010 at the Milpitas Community Sports Center. It was yet another event where we got to involve the community in a very friendly environment. Players from as far away as Sacramento came for this event. During these two days we witnessed some of the finest badminton games, thanks to our players. It was an honor to have so many talented players and coaches coming and volunteering to referree the games. For KCCA, Badminton is something that is very close to our hearts. Years before the club was officially launched, KCCA-ites had embraced Badminton as an indispensable weekly activity. What was started as an ad-hoc Sunday activity at the Milpitas Smash City (now Bay Badminton) soon became a regular fixture in our weekend plans. As the interest and passion for this activity grew, more people joined in and we formalized this as a regular activity. Now, KCCA members and friends regularly play Badminton every Sunday (9:30 - 12:30) and every Wednesday (6:00 PM - 8:30 PM) at Bay Badminton Milpitas. We welcome everyone to join us and we are confident that you will find the same passion that inspire us to join hands and explore this game.